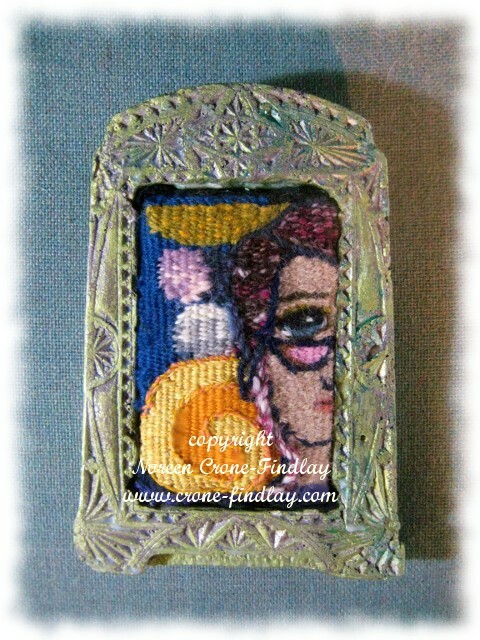 This week, I began a series of small woven figures for my Woven Women show (see previous post LINK). 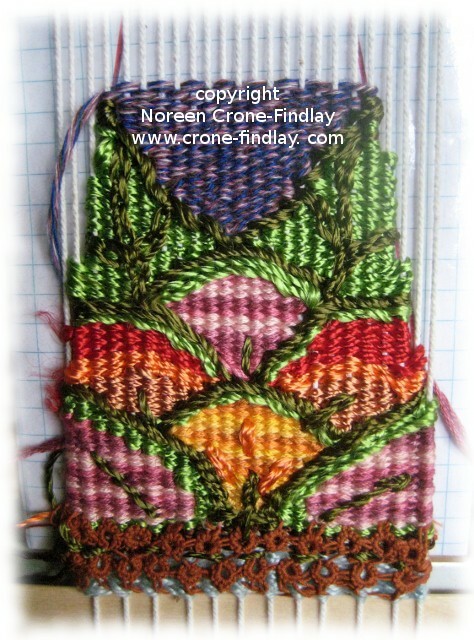 I joined the Tapestry Diary Weave Along on Ravelry, and I am so pleased that I did. 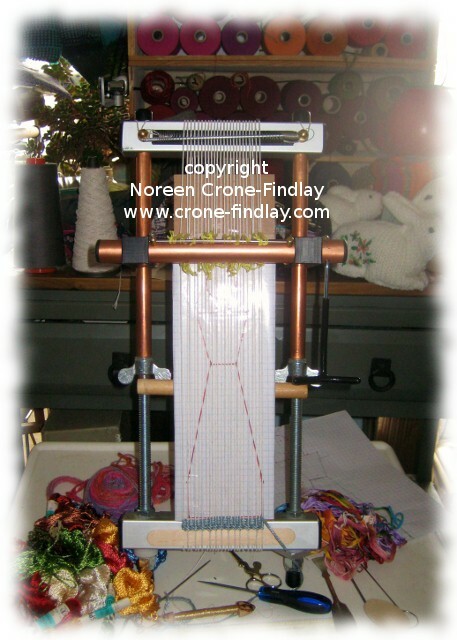 I warped up my 8 inch Mirrix so I can weave one diary entry on the front of the loom and one on the back. 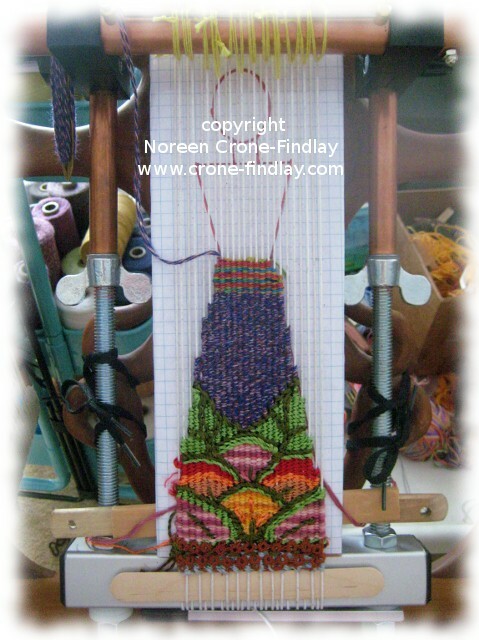 A Tapestry Diary is a kind of daily journal that, of course, reflects what is happening what is happening in the weaver’s life at that moment…. I’ve been longing for springtime, so it was natural that flowers would appear immediately. Using my mother’s stash of embroidery floss and yarn has been powerful for me. Even though she is no longer with us, it is very tender to be working with something that she loved so much. Each day, I’ve been uploading a pic of my progress in my diary- I find this rather daunting, as the ‘not good enough’ gremlins leap up and bite so uncomfortably! ugh…. 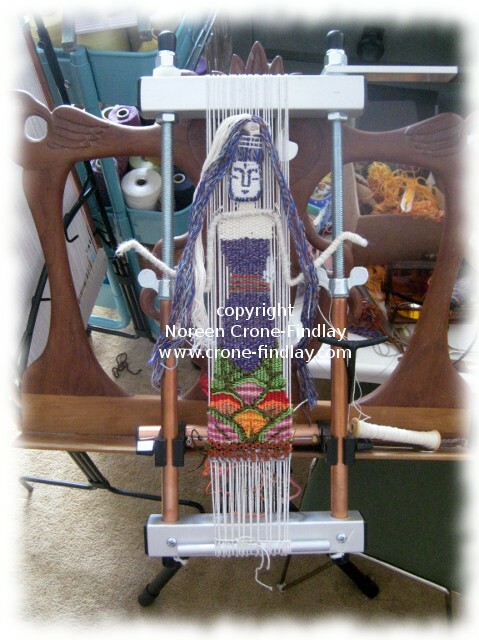 I had some concerns about weaving with super slippery rayon embroidery floss, but it was fine…. although, I’ll need to do some serious sewing in on the wrong side. That’s a bit of tatting that I stitched to the hem of the dress. I always have a tatting shuttle in my pocket for ‘incidental moments’- it’s wonderfully contemplative, meditative and also so portable that I can take it with me everywhere. 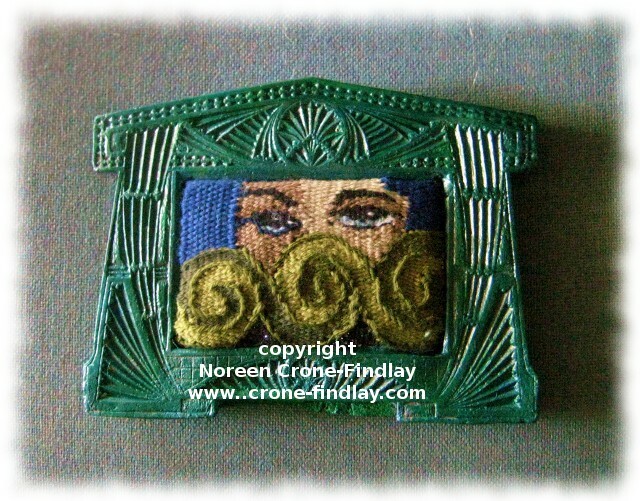 I tat long strips of edging that I then include in my tapestries. 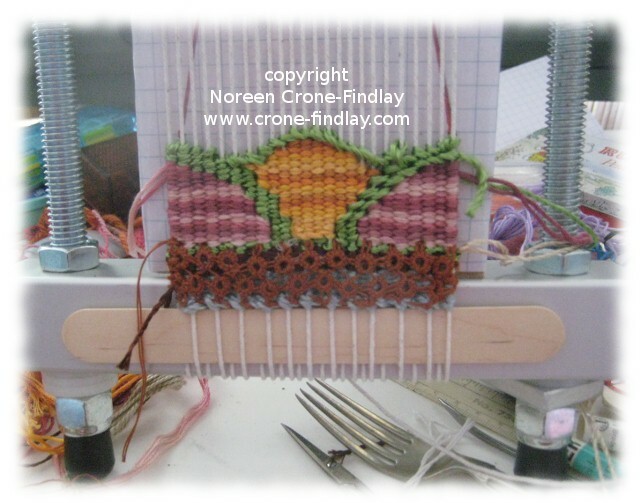 The face is applique’d on – I designed and wove a series of faces in a narrow band, using my double hole rigid heddle loom. The arms are wrapped wires- I haven’t quite finished the wrapping, which is okay, as I won’t get to finish this piece until I weave the next one that is on the other side of the loom. Being part of the Weave Along is such a pleasure- the international community of weavers that has formed around this weave along is a generous and supportive group. 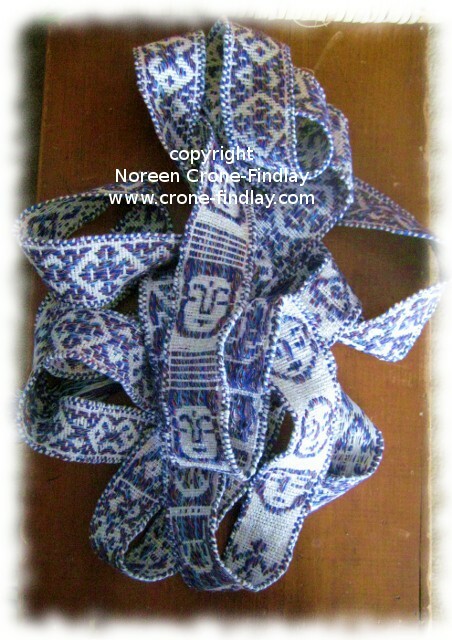 I have no way of knowing how the Tapestry Diaries will unfold, but I will be posting as they do.